Posted By:Unknown | At:9:24 AM Be the first to comment! 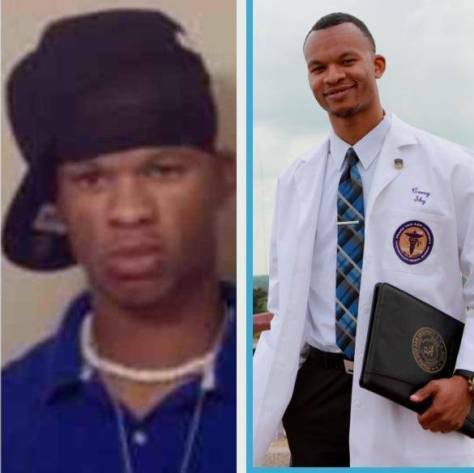 The picture on the left was taken when I was 17 years old, had just graduated from high school, and really didn’t know what I wanted to do with my life. Based on my appearance in this picture, you probably would have labeled me a thug or a troublemaker. I only graduated in the top 50% of my class and I took my ACT 4 times. A promising future in college doesn’t look too likely at this point, does it? But at age 17 (Trayvon’s age when murdered), I didn’t realize how much I would be judged and stereotyped for the clothes I wore and my physical appearance. Two months after that picture on the left was taken, I entered college and quickly realized that I wasn’t pushing myself to be the best I can be. I hardly studied in high school, but as as freshman in college I began to study daily.